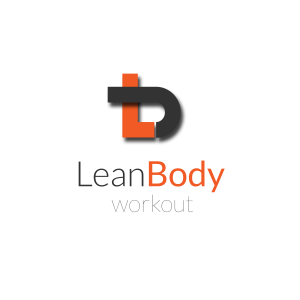 Lean Body is a progressive fat loss plan that is focused on dropping your body fat whilst increasing your overall strength. Training up to three sessions per week following a comprehensive training system, whilst allowing you to work at the level that’s right for you. The biggest problem we see in people when it comes to their fitness goals is that they do things that they don’t enjoy doing. Which can lead to a lack of progression and sustainability, from not having a plan. On our group sessions there’s no more confusion about what you should do, just turn up and follow the scientifically structured programme. Knowing you’re doing the right exercises, in the right amounts, in the right combinations, with the right technique. Lean Body group training sessions take place at our studio gym in Finchley, North London. With many of our clients also coming from surrounding areas, including: Hendon, Barnet, Muswell Hill, Golders Green, Mill Hill, Colindale and Whetstone. Lean Body sessions are customised to obliterate body fat whilst toning muscle, building cardiovascular endurance and stamina. With a Combination of fun, safe, intense training sessions, along with a comprehensive nutrition manual and a home workout program. Our Personal Trainers will get you fitter, leaner and healthier than you’ve ever been before. Small Group Personal Training incorporates the best aspects of our one-to-one personal training program, adapting them so they can be constructed and enjoyed in a small group setting. Our specialised small group training sessions allow one of our personal trainers to train 1-6 people at once. At Lean Body, all of our trainers are registered on the National Register of Personal Trainers, so you can be assured that you are in safe hands. The future of Small Group Training. The Lean Body workout is centred around Small Group Personal Training methods. We have found that working out in small groups keeps everybody accountable and makes training a fun and social activity. The cost of Personal Training is also significantly reduced! -You don’t even need a gym membership!